The economy of the 2020s will be more volatile, and recessions could be more extreme. The collision of automation in the workforce will trigger economic disruptions far more significant than what seen in agriculture to industry (1900 to 1940) when nearly 40% of the workforce was displaced. In the next ten years, automation may eliminate 20% to 25% of current jobs, or about 40 million, crushing the bottom 90% of Americans the hardest. Boston Dynamics is at the forefront of developing new automation technologies. The Waltham, Mass.-based company has released a new video of its warehouse robot, a "mobile manipulation robot designed for logistics. Handle autonomously performs mixed SKU pallet building and depalletizing after initialization and localizing against the pallets." 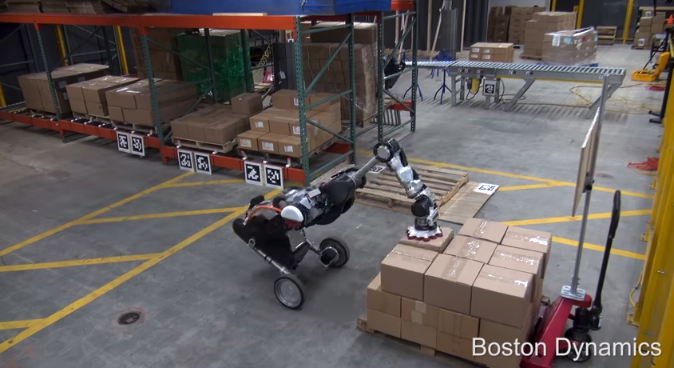 Dubbed Handle, the robot uses an on-board vision system with a large suction cup arm to track boxes and then move them to a pallet. 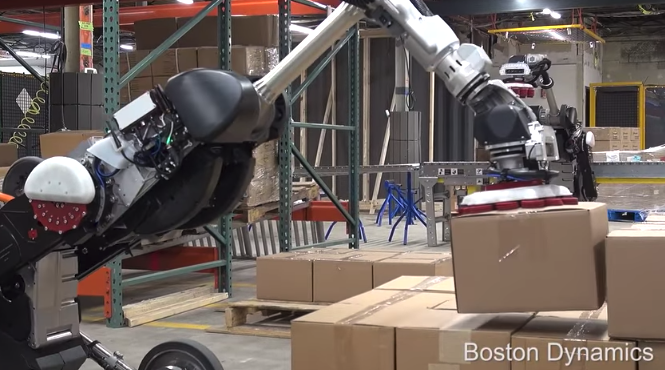 The video below shows several robots in a warehouse moving boxes to a pallet and conveyor belt, a task that would typically be completed by humans. Warehouse workers probably won’t have to worry about Handle taking their jobs anytime soon. That also means the more than 600,000 Amazon employees, mostly fulfillment center jobs, are safe for now but could be in jeopardy in the next 3 to 5 years. The next phase of automation has begun, and it will accelerate in the years ahead. Forty million Americans are at risk of losing their jobs to automation by 2030.